Everton target Abdoulaye Doucoure from Watford to boost their midfield options. The reports in England suggested that Everton are keen to land Watford midfielder Abdoulaye Doucoure. The France international joined Watford from Rennes for a fee in the region of 10.6 million euros in February 2016. His contract expires in the summer of 2020. 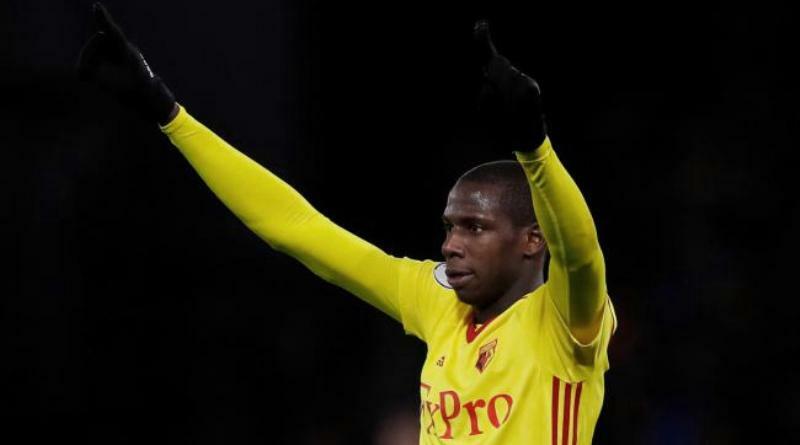 Since his arrival from Rennes, Abdoulaye Doucoure has scored seven goals and provided one assist in 44 games for Watford, including six goals and one assist in 21 games in all competitions this season. The France international has been in outstanding form for Watford this season. Doucoure has represented France at Under-17, Under-18, Under-19, Under-20 and Under-21 level, winning 36 caps and scoring three goals. Sam Allardyce wants to sign a new midfielder and Abdoulaye Doucoure is one of the names at the top of his wishlist. The report claims that Everton manager has extensively scouted Abdoulaye Doucoure and is considering a move for the midfielder. Everton will be desperate to make an impact in winter transfer window. According to the report, Everton manager Sam Allardyce is moving for Watford midfielder Abdoulaye Doucoure. Big Sam believes more signings are needed for the Toffees to finish the season strongly. Allardyce is keen on hard-running midfielder Doucoure as a backup option to Sevilla’s Steven N’Zonzi. Everton’s pursuit of the former Stoke and Blackburn star is stalling so far. Doucoure could be signed for in the region of 30 million euros. Signing the 25-year-old in January would be a masterstroke from Sam Allardyce.